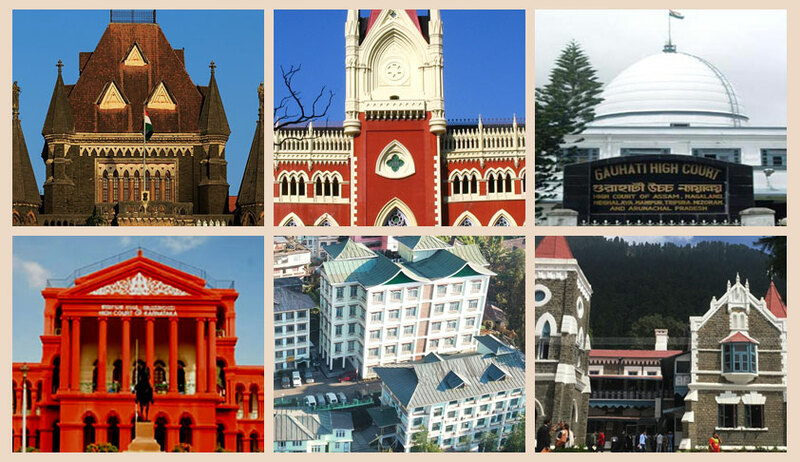 The Central Government has notified the appointed of chief justices for five high courts of the country. Bombay High Court judge, Justice Naresh Harishchandra Patil has been appointed as the Chief Justice of Bombay High Court. The post has been lying vacant for quite some time, since the retirement of Justice Manjula Chellur in December last year. Karnataka High Court judge, Justice Ajjikuttira Somaiah Bopanna has been appointed as the Chief Justice of Gauhati High Court. The office of Chief Justice of Gauhati High Court fell vacant upon retirement of Justice Ajit Singh. Calcutta High Court judge, Justice Debasish Kar Gupta has been appointed as the Chief Justice of Calcutta High Court. The post fell vacant recently upon retirement of Justice Jyotirmay Bhattacharya. Uttarakhand High Court judge, Justice Vijai Kumar Bist has been appointed as the Chief Justice of Sikkim High Court. The office of Chief Justice fell vacant after retirement of Justice SK Agnihotri. Hyderabad High Court judge, Justice Ramesh Panganathan has been appointed as the Chief Justice of Uttarakhand High Court. The office of the Chief Justice of Uttarakhand High Court fell vacant consequent to the elevation of Justice KM Joseph as a Supreme Court judge. All the recommendations were made by the Supreme Court collegium through resolutions passed on October 9.